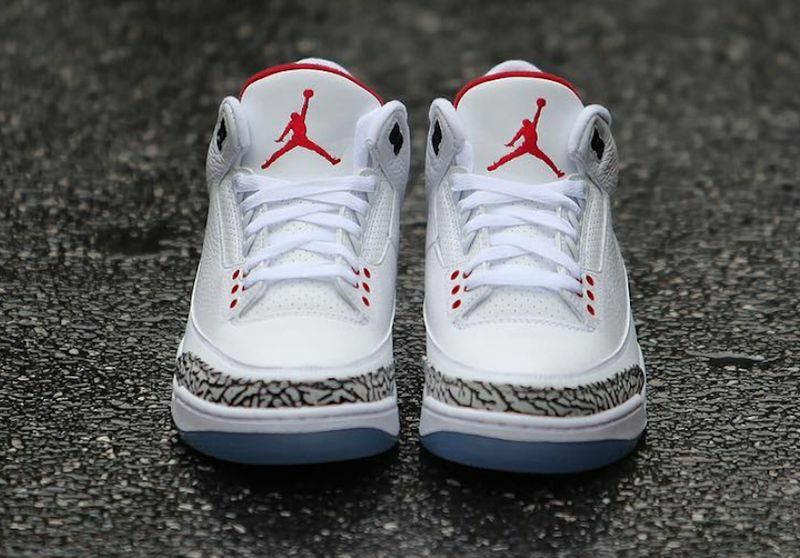 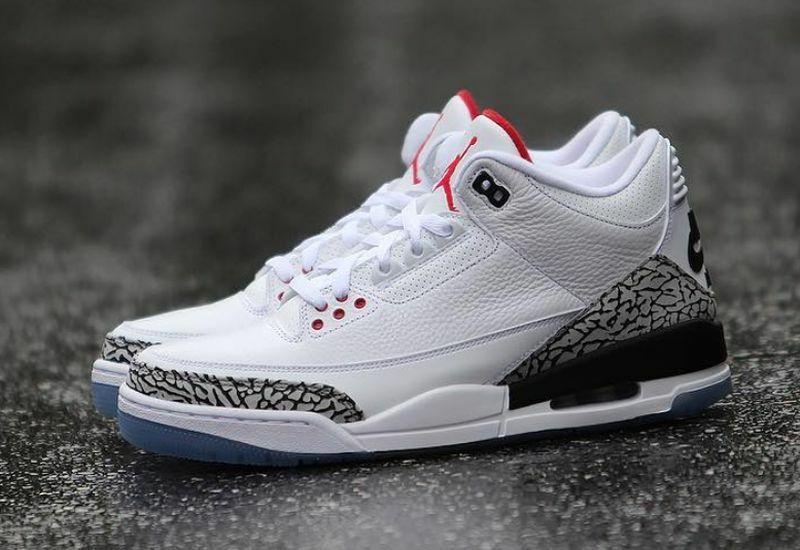 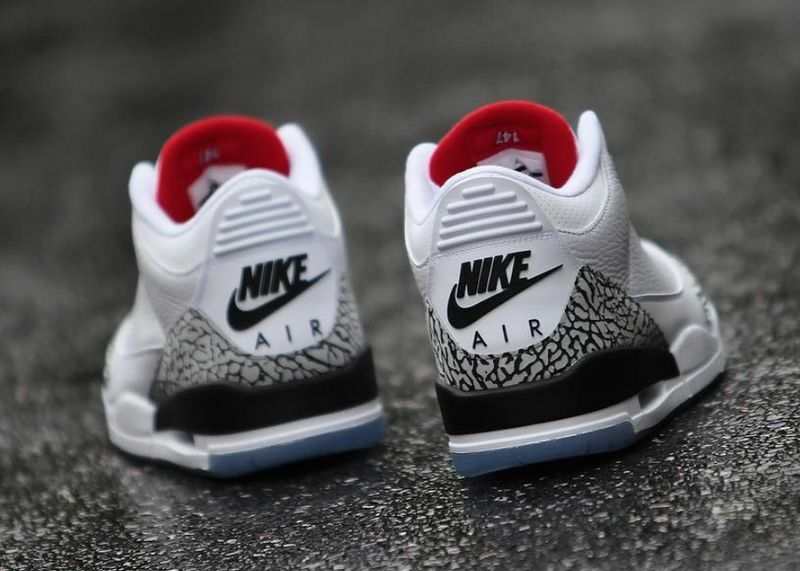 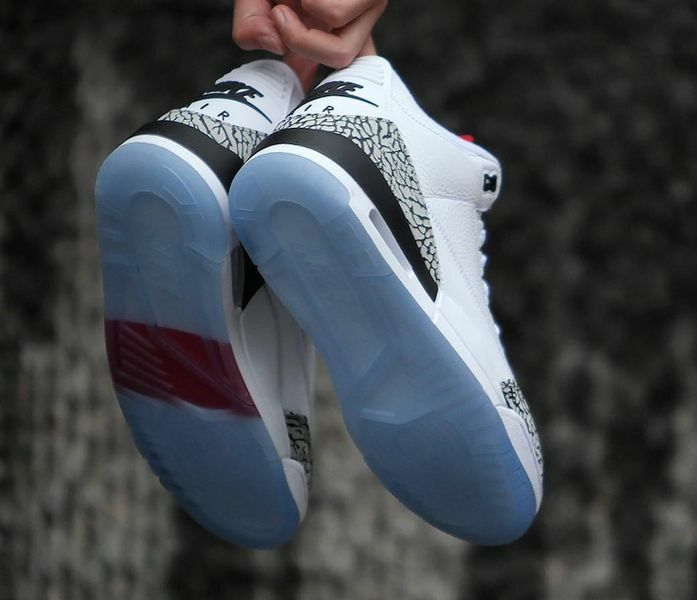 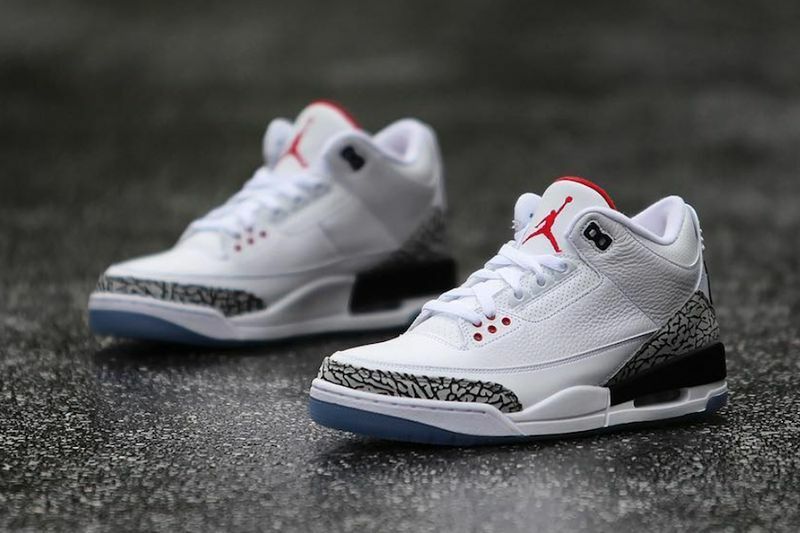 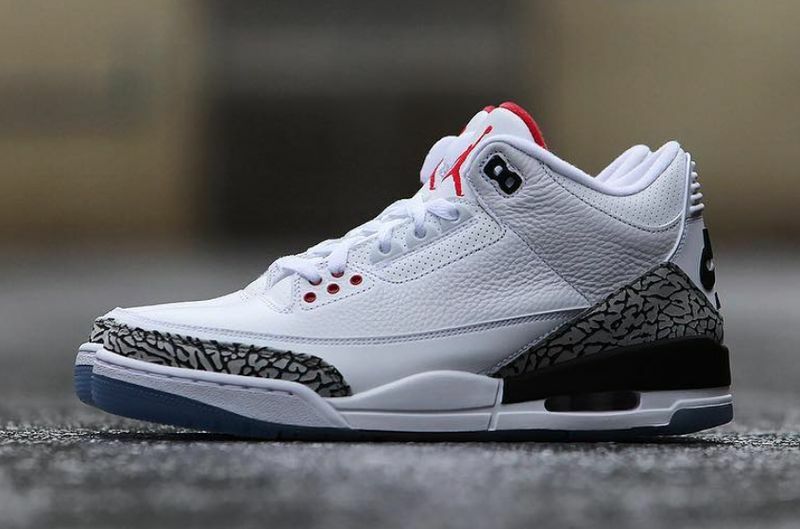 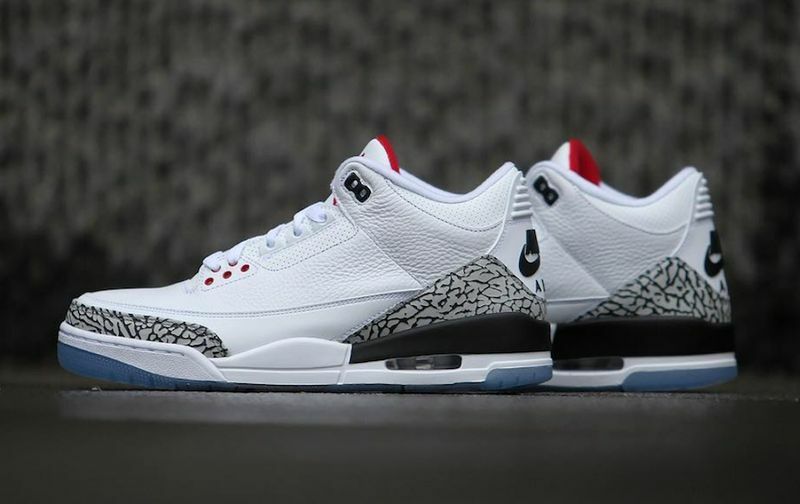 Nike Air Jordan 3 "Dunk Contest"
Jordan Brand will be bringing back the clear sole version of the “White cement” for the 30th anniversary of the AJ 3. 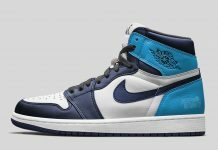 The version to be released will be the same as the 2003 sample seen below, with a few changes that includes a graphic commemorating MJ’s 1988 dunk contest. 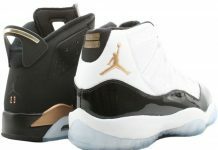 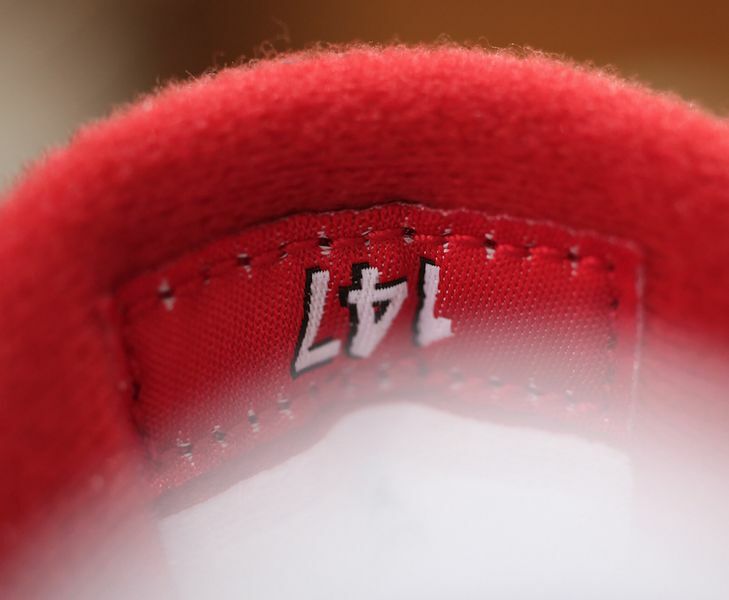 The line on the outsole represents the court line MJ took off from, with a numbered tag behind the tongue. 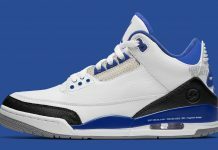 The Air Jordan 3 “Dunk Contest” drops February 14th at Jordan Brand retailers and Nike.com for $200 USD.